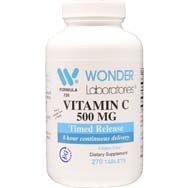 Vitamin C is a potent antioxidant that contributes to our normal growth as well as bodily tissue repair, while also contributing to the creation of collagen, carnitine, and amino acids. Along those lines, C is considered an essential nutrient, one that is commonly associated with orange juice (as well as other citrus fruits), yet its presence and usefulness are not things any of us should take for granted. 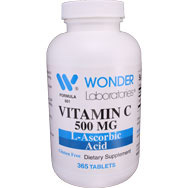 As important as vitamin C is to our health in a wide variety of areas, our bodies do not produce it on its own. It depends on us to take the proper measures to ingest a sufficient amount of it daily, either through our dietary choices or supplements, to keep us operating at peak efficiency. Common factors that can contribute to a vitamin C deficiency include a poor diet, smoking, dialysis, alcoholism, anorexia, and severe mental illness, per healthline.com. A sudden C deficiency usually won’t cause immediate health problems, but a severe deficiency over a period of months can produce noticeable symptoms, such as fatigue, nosebleed, anemia, and slow-healing wounds. Fatigue. You can throw lousy mood into the mix. The shortage of vitamin C might be accompanied by a reduction of carnitine, a cell component that is involved in fat metabolism and energy generation, per curejoy.com. A C deficiency can also mean diminished catecholamines, a condition been linked to fatigue. Bleeding/inflamed gums. Grapefruit, like oranges and some other fruits that contain vitamin C, helps clot our blood, with collagen also involved in the health of our teeth and gums. Per webmd.com, one study in which test subjects with gum disease were fed grapefruit for two weeks found that their gums no longer bled as much. Slow healing of wounds. 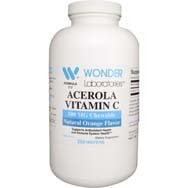 Vitamin C’s role in producing collagen makes it a key part in healing wounds, because collagen is a protein that assists in each stage of repairing the skin, per webmd.com. Weight gain. 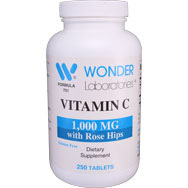 Vitamin C’s ability to help control the release of fat from fat cells can help guard against obesity. Per healthline.com, increased belly fat, even in people with weights within normal ranges, can be a sign of low blood levels of C.
Joint pain/swelling. Per healthline.com, there have been instances reported of joint pain related to a vitamin C deficiency bad enough to cause the patient to experience difficulties in walking, such as with a limp. Keep in mind that joints contain connective tissue abundant in collagen, the protein dependent on C for its production. Hampered immunity. 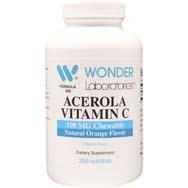 Studies have shown that the accumulation of vitamin C in an assortment of immune cells helps those cells to stave off infections and other disease-causing pathogens, per National Institutes of Health (NIH). Rough, dry skin. Healthy skin usually contains robust amounts of vitamin C, most prevalent in the epidermis (the skin’s outer layer). 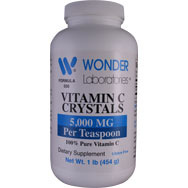 The C protects the skin against oxidative damage sourced from the sun and exposure to pollutants, per healthline.com. Disfigured fingernails. Nails that have become spoon-shaped, or concave, as well as thin and brittle have been linked to a vitamin C deficiency. Red spots or vertical lines could also appear in the nail bed as the result of reduced C availability. Easy bruising. 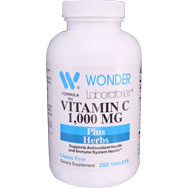 Vitamin C’s role in manufacturing the protein collagen plays a role here. It is a component of blood vessel walls, which, when weakened, can lead to easier bruising, per curejoy.com. These bruises are the result of the breakage of small blood vessels beneath the skin. Weakened bones. A scarcity of vitamin C in our system has been linked to a boosted rate of bone loss, with such a deficiency meaning a higher risk of bone fracture and osteoporosis.